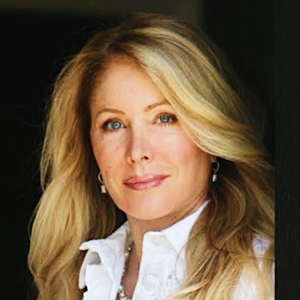 Valerie Fitzgerald is president of the Valerie Fitzgerald Group, part of the Coldwell Banker family in Beverly Hills, Calif., where she creates and develops successful relationships between buyers and sellers of luxury residential homes. Since getting her start in real estate, she has closed over $3 billion worth of transactions. Ranked among Coldwell Banker’s Top 10 agents nationwide, Fitzgerald earned the attention of the Los Angeles Business Journal for highest sales volume in Los Angeles County for residential real estate, and her team is consistently ranked the No. 1 team in the No. 1 Coldwell Banker office in the U.S.
Fitzgerald earned the attention of the Los Angeles Business Journal for highest sales volume in Los Angeles County for residential real estate. As a single mom who has made a name for herself with her successful real estate career, Fitzgerald firmly believes you can achieve anything that you set your mind to – as long as you believe in your own personal power. She currently serves on the Board of the Women’s Guild of Cedars Sinai Hospital, and the Forbes Real Estate Council.